Most of us will experience some type of lower back pain at least once during our lives. Though this pain is one of the most common reasons for missed workdays and trips to the doctor, these facts do not make it any easier to handle. Fortunately, most episodes can be treated or even prevented. Surgery should only be considered as a last resort because it is expensive, risky, and results are not guaranteed. 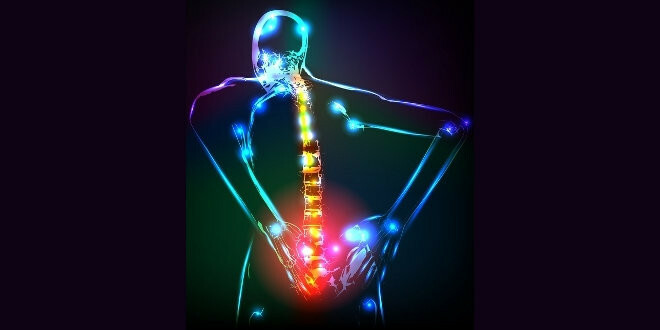 Pain can develop in the back without any cause identifiable through an examination, imaging study, or physical test. Several conditions may be linked to this type of pain including a ligament or muscle strain that results in muscle spasms. 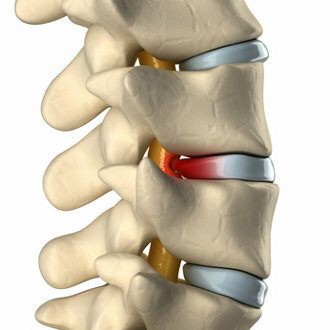 In the spine, disks cushion the vertebrae and if the soft tissue within a disk bulges or ruptures, it can press on a nerve and cause pain. Osteoarthritis can narrow the area around the spinal cord, affecting the lower back. If the spine curves abnormally, as with scoliosis, this can cause pain in the back. Bones that are brittle and porous due to osteoporosis can lead to compression fractures of vertebrae that cause pain. The sciatic nerve begins in the lower back, travels through the pelvis, into the buttocks, and down each leg. Anything placing pressure on lumbar nerve roots can result in symptoms called sciatica that may include pain in the lower back. The best way to deal with this type of pain is to prevent it. Experts recommend learning and exhibiting correct body mechanics and remaining in good physical condition. Increasing endurance and strength in the back through low-impact aerobic activity on a regular basis also helps muscles to function better. Core-strengthening exercises work the back and abdominal muscles, helping them to operate together to support the back. People who are overweight put additional strain on their back muscles so a simple diet could be enough to prevent the pain. Proper body mechanics involve keeping the pelvis in a neutral position when standing, sitting with knees and hips level in a seat that offers lower back support, and bending at the knees when lifting objects. Keeping the back straight during lifting and making conscious effort not to twist can also prevent pain from reoccurring. If pain has already struck, it can usually be treated at home with a combination of pain relievers and light activity. Special products designed for the relief of pain in the back may also be effective. Products like inversion tables, wearable posture monitoring devices or products that promote correct sitting posture have been proven to prevent and ease lower back irritation and pain. The earlier lower back pain is treated, the quicker the pain should subside. Only the most severe cases require surgery so in most situations, a combination of holistic treatment options (homeopathy, herbs, acupuncture etc.) and specially designed products should be effective. Proper posture and exercises that strengthen the abdominal muscles and back, improve posture, and increase flexibility can prevent this pain that sends millions of people to the emergency room every year. See our article “Lower Back Pain and Teeter Hang Ups” for more information about inversion tables and how to use them to prevent, manage and control lower back pain. Posted by Buzz3, one of our dedicated staff members! Previous Coffee Is Good For Me, Right? Thinking of consulting a homeopath?